Samoa, I found out today, was actually under German rule at the beginning of the 20th century - maybe this has influenced their beer? It's a group of islands in the middle of the Pacific Ocean, about half way between Hawaii and New Zealand, with a population of around 200,000. Over 85,000hl of Vailima is produced annually, with very little for export, that's a big number for (relatively) so few people. Vailima poured a pretty stock standard clear golden yellow colour. The white head that topped the body of the beer had a few medium sized bubbles right from pouring and then dissipated quite quickly. There was however a ring of foam left and some reasonable lacing to boot. 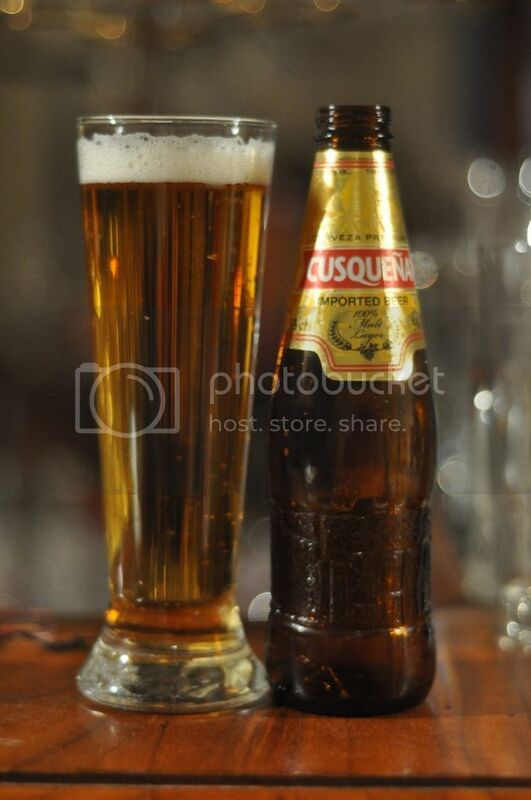 It's actually a pretty good looking lager. I was pleasantly surprised when I smelt this beer for the first time after pouring - it didn't smell of sweet grain! There were hops! These hops weren't hugely strong but had nice grassy and floral characteristics on the nose. It seems like there is quite a sizable biscuity malt base. 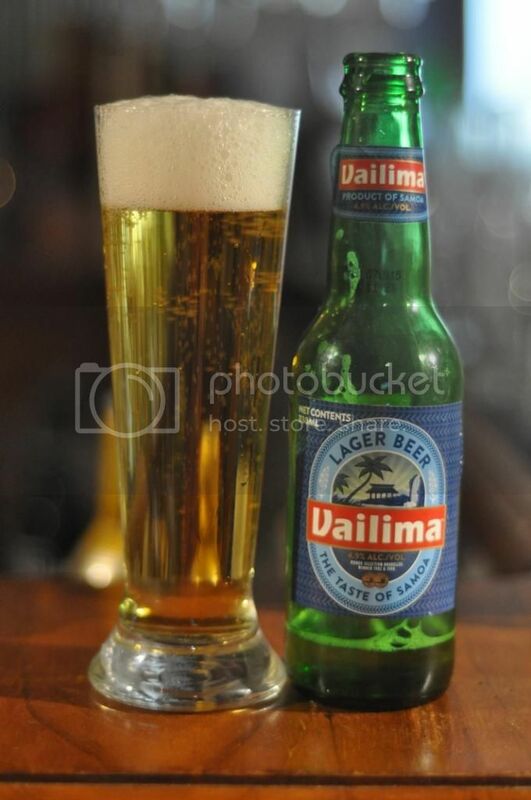 Vailima is a crisp smelling pilsner. The taste of Samoa's national beer wasn't quite as good as the nose - but was still a lot better than many other macro lagers I've sampled. It was a crisp lager with a nice light bitter grain base. The hops were certainly not pronounced but were there - with grassiness and a bit of spiciness coming through and providing just enough bitterness. It's nothing particularly special but it is a real pilsner! Samoa, or the Pacific Islands in general, are not places that you would normally associate with brewing good beers. Vailima is surprisingly a good example of a German Pilsner! It's definitely the best of the, in fairness not so many, Pacific Island nations' mass produced lagers. If you're in Samoa or you're a lager fan and see this one around I would recommend giving it a go.